When we get older, we call it anticipation, as if that makes waiting any easier. After I became a mother, I heard that dreaded word again: someday. When I worked on my master’s degree, my husband encouraged me to keep studying. When faced with a new year, we contemplate plans for the future. I don’t know about you, but I have a hard time waiting for God’s answers to my prayers. If I don’t like waiting for an editor to offer me a contract to publish my picture book, I’ll just self-publish it. Right? Wrong. Taking things into my own hands would be foolish. Attempting to speed up a heavenly clock is futile. That would be kind of like flapping my way through life. Expending unnecessary energy. Consider the eagle. The eagle soars. This bird with a massive wingspan waits for thermals – rising currents of warm air and up-drafts. 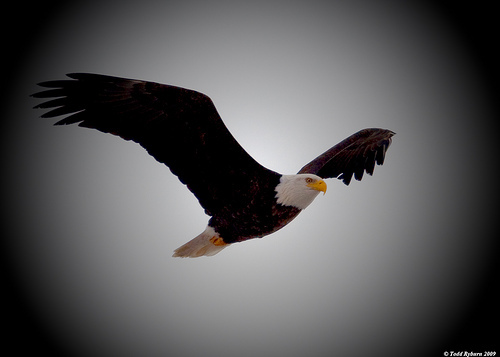 When a warm current of air rises, the eagle steps off its perch and soars. No flapping necessary. Similarly, if I wait for God’s perfect timing in the coming year, I will soar. Dear Father, teach me to trust You for the precise timing in your perfect plan for my book. What’s so exciting about Christmas? The loud knocking interrupted the Bible instruction. The startled campers were learning about Jesus. I ignored the knocking, for good reason. The children all had intellectual disabilities. The visitor was part of the lesson, arranged ahead of time by me. “Who is it?” I called through the door. KNOCK, KNOCK, KNOCK pounded Barbara. Returning to my seat, I resumed the lesson. “What’s wrong? Is something the matter?” I asked. 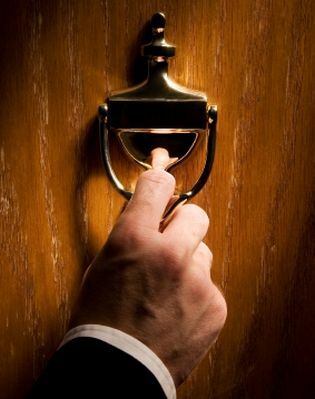 KNOCK, KNOCK, KNOCK. “Please let me in,” pleaded Barbara. This time I remained in my seat. The campers begged me to let her in. Refusing their requests, I explained my reason for ignoring her pleas. “But she wants to come in,” explained one camper. “Yeah, and we want her to be with us. Let her in.” urged another boy. Finally, I relented. Once the door was opened, the children engulfed Miss Barbara like a coat. Clinging to her. It was time to explain the object lesson. “You know all about Miss Barbara. But that wasn’t enough. You wanted to spend time with her. She wanted to join us. It seemed very wrong of me not to let her in. Friends want to spend time with each other. “That’s how it is with Jesus. You know a lot about Jesus. But that’s not enough. Knowing about Him isn’t as special as knowing Him as your special Friend. Friends spend time with one another. Friends do nice things for each other. Jesus loved you so much He died so you could go to heaven someday. You can spend time with Him, just like you can with Miss Barbara. You can talk to Him. 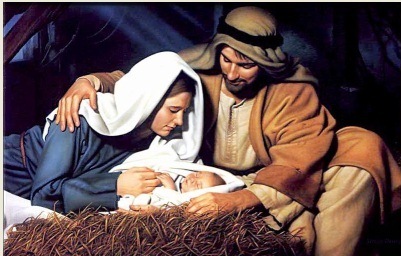 Christmas commemorates the birth of Christ. Historians will acknowledge that fact. The true celebration swells in the hearts of those who know Him – who have a relationship with Him. 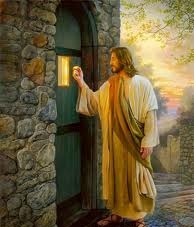 Jesus stands at the door and knocks. How He longs for us to welcome Him into our lives! How He wants to fellowship with us! He waits for each blood-bought soul to receive His gift of eternal life. Knowing the facts of His life pales in comparison to knowing Him in a personal way. Having a relationship with Him throughout the year enriches our celebration of His birth. Jesus entered this world. The thought of God sending His only Son to die for my sin – my sin – is awesome to contemplate. The deeper my relationship is with Christ, the more Christmas means to me. God’s only Son left heaven to die for my sin, stepped into my life and fellowships with me. That thrills my heart. What’s so exciting about Christmas? He did that for everyone. No wonder all the angels rejoiced. Nowadays, people make promises to be a best friend forever. We have good intentions to be a true friend to someone. We hope special friendships will never end. In spite of our good intentions, relationships have difficulties at times. Sadly, sometimes friendships end. They aren’t always forever. There is One Friend who will truly be a friend forever. A trusted Friend. One we can have forever – past this life. Many of us wish the weeks leading up to Christmas weren’t so busy. We want to spend more time reflecting on the true meaning of the holiday. How do you find time to focus on the story of Christ’s birth? Christmas won’t be the same. Will this Christmas be different this year? Will it be your choice? Are circumstances forcing you to rethink what the holiday will be like? There seems to be so many who are suffering. When you consider the plight of others, do you feel ashamed to ask for help or prayer? Perhaps secretly inside you yearn for someone to reach out to you. You need an understanding friend, or a warm embrace. Jesus cares about each and every person. How would you like others to pray for you? Children challenge us to be honest and clear. 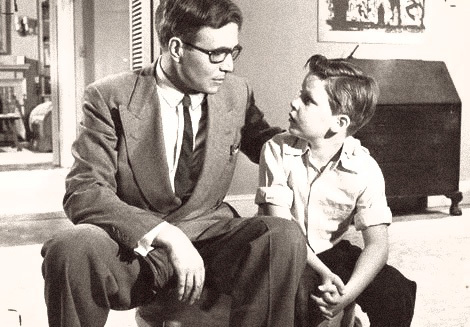 Have you ever had to explain something sad or difficult to a child? Social stories are used with children who have autism spectrum disorders. Social stories help these individuals tolerate change and teach them how to interact in specific social situations. Explicit instruction is necessary for many of these children. Early learners who do not exhibit autism can also benefit from social stories. Social stories can be used to teach new routines and expected actions. Social stories contain simple steps for achieving certain goals. A social story can be created to match exact situations children will encounter. Very little planning is required to develop a script for a social story. A handwritten script for a story can simply be read aloud to the student(s). The teacher or adult has the option of writing the story down and creating a more formal presentation of the story (e. g., a book). A social story is a nonthreatening, enjoyable way of communicating expected behaviors. Rereading the story reinforces expected behaviors. Students begin to visualize themselves doing the appropriate behaviors (like a mental rehearsal). Students learn from the story what types of feelings will result in doing appropriate behaviors, and what feelings and consequences result from behaving inappropriately/incorrectly. Social stories can prevent problem behaviors and student anxiety (resulting from uncertainty about what to do and how to act). When a social story is read prior to a new situation, the student(s) have already mentally rehearsed expected behaviors. Social stories reinforce the concept of stories (as a language arts goal for early learners).